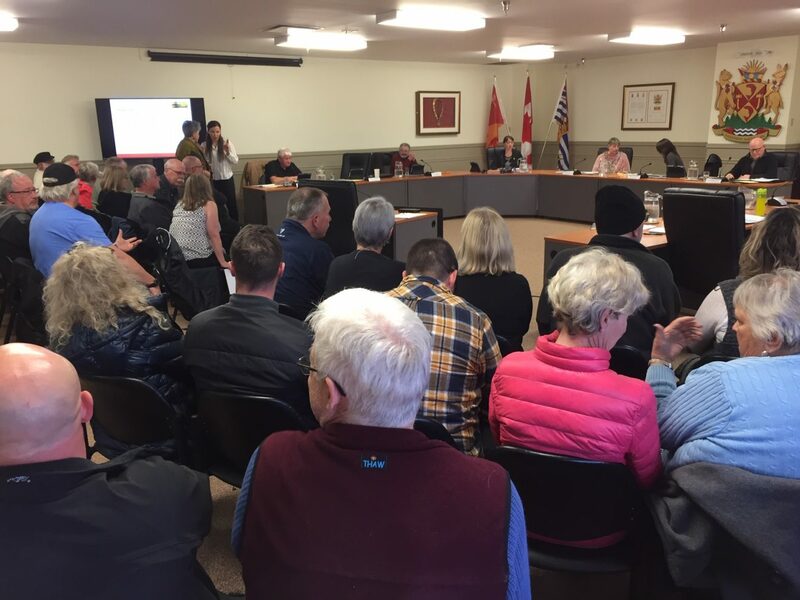 At last week’s Regular Council Meeting held on Monday, April 8, 2019, Sooke Council declared a climate emergency. The motion was presented by Counc. Tony St-Pierre as an impromptu motion at the previous meeting and tabled for discussion to this meeting. A part of the rational was that a motion placed on the regular agenda would allow for the rest of Council to consider the motion before the actual meeting. Another part was to allow the community some input. The community can speak to any item on the agenda near the beginning portion of every meeting. If an item doesn’t appear on the agenda such as this initial impromptu declaration, obviously, the public cannot provide input. Oddly, Council deliberated this tabled motion before the public input section, meaning that they didn’t have the benefit of hearing from the public before arriving at their decision. No matter, Council approved the declaration, and all those from the public who later spoke to the declaration spoke in support of it. The public input added a layer of intensity and urgency to the conversation, so it seemed fitting that Council preemptively approved it. During Council’s deliberations, there was some discussion about the motion lacking a call to action. Counc. St-Pierre made the point that the letter from the CRD is in and of itself a call to action. He argued that climate change is real, it’s happening, and if we keep on letting it happen, it will be catastrophic. He added that if we’re going to limit a temperature increase to 1.5%, fast action is needed. For St-Pierre, that would look like a shift to less commuting, more economic development, more affordable housing here in Sooke. Counc. Brenda Parkinson would like to see a planning space, including what we already have. She wanted to see the district take a leadership role in climate change goals. The input from the public covered a number of different aspects to the declaration of the climate emergency. Anne Clement noted that we all need to act together, and do more than just sign a declaration. 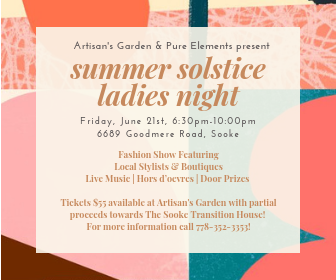 The Citizens of Sooke need to know what we’re working on. Hope comes from seeing progress. We know what we need to do. This needs to be the lens through which every future decision is considered. Diane Bernard owns a commercial building. She noted short-term goes could include working with businesses to reduce the use of plastic. removing plastics, working with businesses and local chambers. Benchmarks should be set. It needs to be a collective effort, guided by but not owned by Sooke Council. Eric Boucher supported the climate emergency statement, adding that we need to think global and act local. 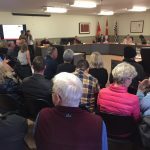 He noted a certain irony to the provinces veiled push to expand Sooke Road, thereby inviting even more traffic to drive the highway in light of this declaration. Seventy per cent of the people who use Sooke Road do so to commute to work. Public transportation needs to be a focus. (See Is Sooke Rd to be realigned, with divided four lane highway? District in the dark and New Poll: Should Sooke Rd become a four-way divided highway? for more on this.) He did note the irony of Sooke supporting a drive through for Tim Hortons, saying this is not compatible with the declaration of a climate crisis. They (Tim’s) need to be a part of the solution by coming up with alternatives. Christiana St-Pierre also addressed the climate emergency declaration, saying she felt an intense need to take action. She wants to avoid eco-cide, and called for action to be undertaken together, collectively. She noted that habits are so easy to form, and so hard to break. Humans are herd animals, she said, and we look to our leaders for action. The best long term solution is to take environmental action now. Sinclair Philip felt that Canada as a country is not acting on climate change and appears to not really care. If things keep going as they are, he warned, by the end of the century, we will have a 14 degree increase. The. Time. Is. Now. Local agriculture needs to be promoted. Food shortages are predicted, and we need to plan for that now. We need to reach out to other levels of government. He echoed the sentiment that the drive-through planned for Tim Hortons is absurd. With all due respect, I don’t see this being remotely in the scope of the Sooke Council for needed discussion. Maybe the discussion should be more centred on the recently discovered black hole in which one teaspoon of matter can weigh 100 tons. At least then could have some conceivable spot to throw our ill spent tax dollars into.